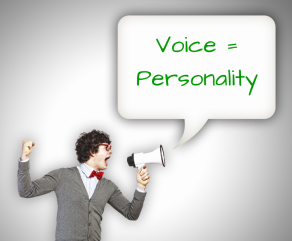 Your Voice is Your Personality? Did you know your voice can tell a lot of things about you? When you break each one of these down, what would you say your confidence level is that they are performing at an acceptable level and which ones have a strong impact on how well your contact center performs? Let’s just take the agent performance. 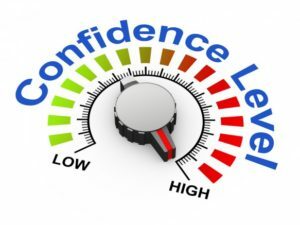 What is your confidence level that 80% of your agents are performing at their top level? A great deal of their performance also lies in their own confidence level. In a post written by Karin Hurt, CEO of Let’s Grow Leaders she outlines five areas to evaluate in how to build the confidence levels of your agents. The true starting point for improving this confidence metric is creating a culture of trust and connection. Dr. Jodie Monger, from Customer Relationship Manager states “when they (customers) have confidence in the answers given by your agents, there is a direct impact on operational cost.” She also states that this trust is the primary emotion customers want to feel when interacting with an agent. So maybe the first place to start in raising your confidence score is taking a deep look at how well your organization is building a culture of trust. Rather than just provide lip service your action speak louder than words but your words can also convey whether or not someone can trust you. In a study conducted by the University of Glasgow people can detect whether or not you are trustworthy by the sound of your voice. This study fascinates me and really makes one aware of how we influence other’s opinions of us just from the way our voice sounds. But that’s an entirely different topic. To sum this up, try to calculate your confidence levels of the four areas I outlined to see where your contact center stands and which one would score the lowest and then assess how improving the trust levels would change the confidence levels. I would not use this for any type of assessment tool, or required training as some people may not be as skilled as others at using this type of application. 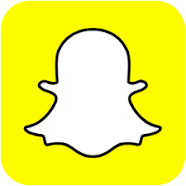 If you have any stories you’d like to share on how your company used something like Snap Chat please share! Age- In a study conducted published by Journal of Social, Evolutionary and Cultural Psychology the subjects were able to give a fairly accurate range of someone’s age from the sound of their voice – in addition to the choice of words they were using as well. We also tend to draw judgment on other personality characteristics as well such as income, social status, and level of intelligence. For example, if you heard someone speaking like Marilyn Monroe, you would probably jump to some quick conclusions about their looks and personality. We have built-in biases that work at the speed of light that formulate judgments of people we are speaking with. This makes me question, are companies training staff to remove biases on how they treat customers from the sound of their voice? Are you quick to assume a caller may not be very technical savvy if they have a high pitched voice when calling in for technical support? Do you treat people differently because of an accent that is not close to your own? If you work in a call center, I’m sure you may have popped one or two items in the suggestion box from time to time. You’re not alone, according to studies conducted by eGain Corporation and Five9, providing agents the ability to provide accurate and timely answers to callers is their biggest frustration. Much of what is driving this challenge is the pace in which systems and information are out of synch. It’s not uncommon for agents to have 3-4 windows up at all times from disparate systems in order to look up customer information and provide the most current information to them to provide the all-important “first call resolution”. There is a lot of pressure on agents to perform their tasks in a way that is Checking the Box of all of the criteria their performance is being measured by. eGain conducted a global survey of agents in US, Canada, UK and APAC, the top two problems were finding the right answer and when they did find the answers from more than one resource they were not consistent. This would lead us to believe that the solution to this situation would be to invest in a KM system or combine the disparate systems into a more modern and user-friendly but these systems typically require a committed investment in both time and money. Call centers today are running as fast as they can just to keep up. The delicate balance of choosing where to spend money on upgraded systems, infrastructure, and human capital is a constant struggle for call center executives. One solution is to provide agents with realistic training scenarios that teach them how to make decisions. Knowing which window to access the correct sequence or which resource has the most accurate information. One way to do this is to provide them with realistic situations during the training process. Using a simulator like our ACES would be the best way to allow them realistic practice but if you are not able to implement this solution here are some other recommendations. We all wish that these problems could be fixed quickly but it’s not realistic to think that at the pace in which the markets forces require call centers to constantly change with the combined pressure of managing expenses that this will happen. So in the meantime, finding resources to help agents manage some of the chaos is probably a safe bet and will be an investment that won’t go to waste. 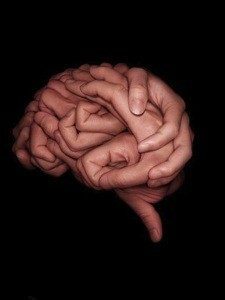 Much like responsive website developmnent, our brains too can be modified to respond and learn differently in new situations. In this episode, Nancy and Allison talk about how our brains can change over time when we learn a new skill even beyond the age that people historically thought learning was on the decline. In this episode, Nancy and Allison talk about how you can learn to control your voice to convey the message mask how you really feel. For example in a sales situation when you’re not confident, you don’t always want the customer to know that. The challenge for us is that our vocal fold are tied directly to cells tied to our nervous system and emotions. I’ve been talking about how important tonality and the quality of your voice is for the last three years. Scientists have documented proof that our voices are measured by listeners in milliseconds. Faster than it takes for you to blink your eyes, someone will judge the confidence in your voice. In an article published by Forbes from David DiSalvo, he provides information on how our brains process a human voice. He also sites research done by Xiaoming Jiang and Marc Pell, on the way our brains process this information. These studies showed that if you are speaking more confidently, it’s less effort for your listener to decode what you are saying — it’s almost instantaneous but if you are speaking with less confidence, it requires more effort on the listener to understand you. Think about people who have to engage in conversations for their job, sales people, doctors, insurance agents, teachers etc. I imagine that their days are very challenging and they feel like they are in a constant battle for gaining approval or respect if their voice works against them. It’s easy to practice speaking to help you build your confidence and composure. We have developed a conversation simulator that will allow you to measure the composure and temperament in your voice. One thing I have noticed on a regular basis is when a client is conducting a role-play for practicing leaving a voice mail, they start off confident but as they get into the meat of the voice mail, their voice quickly declines in confidence and composure. Why is that? Another observation is some people have the opposite problem, they are too confident. This can be as much of a turn-off as not being confident. So how do you get the right levels in your voice that will get you the results you want? Practice! Just like anything else in life practice will help you build confidence and composure. I remember when we first launched Mobi-RolePlay, a group of male colleagues asked if I could create a role-play that would allow a teen-age boy to ask a girl out on a date. I didn’t think they were serious but on further thought, it made a lot of sense. If we could practice speaking to people who make us nervous or when we put ourselves in uncomfortable situations, do you think your outcomes would be different if you’d had the chance to practice them over and over again until you felt more confident? I’d love to hear examples from you who may have done this or when you didn’t speak with confidence and how things may have changed if you had. Why Do We Use British Voices in Business? Years ago a company I worked for hired a new VP of Sales who had a British accent and it was clear he was selected and promoted in many of his positions because of his accent. Don’t get me wrong he wasn’t a bumbling idiot but I’m sure his career was more accelerated in the US simply because of his accent. Hope this helps maybe you’ll be selected to be the next judge on the next big reality talent show. How many times have you reached out to a friend or family member over the phone and immediately know something is wrong just from the way they answer the phone? With just one word out of their mouth you know if they are having a good day or a bad day. Think about this when you are making a sales call or that first prospecting conversation. 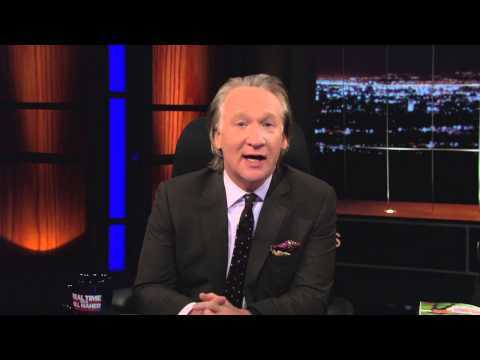 Scientific studies show that when you hear someone speak for the first time, your voice begins to formulate an opinion of who you are as a person. In a study conducted at the University of Glasgow, subjects were asked to judge personality characteristics of someone just from hearing them say the word Hello. Researchers were surprised at the outcome. For each of the personality characteristics being measured such as trustworthiness, aggressiveness, confidence, dominance and warmth almost all listeners measured each voice equally from one word. Now take this into account when you are trying to make a good impression and all you have is the sound of your voice. Do you sound confident, trustworthy, intelligent? Even with all the best sales enablement tools, digital marketing and SEO, many of us still have to have a real conversation in order to generate revenue but how many of you understand the power your voice has on your ability to influence the outcome of these situations? We’ve all heard that people’s buying decisions are more based upon emotions vs. rational decision making so how can we use this in conversations that we are having with a target prospect? Learning how to speak in a way that will stir up positive emotions can be your secret weapon against the competition. You’re probably thinking well that’s all well and good but how can I change the way I speak? One example I give people when speaking about this topic is listen to younger people who sound like everything they say is a question. They were not born speaking like this, they learned to speak like this so they can unlearn it as well.